Your zip code qualifies you for best shipping on select products. Available in your cart. Terms and conditions may apply. Leverage the classical beauty of marble easily, and in all kinds of spaces with the Carrara Marble Series on the Cabot label. 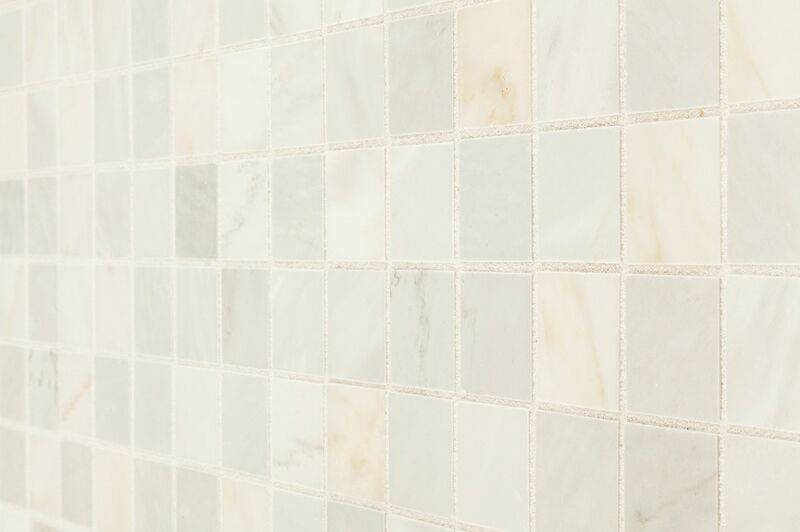 The glory of real marble is embodied here with a selection of cool tones, varied veining patterns, and geometrically arranged individual tiles on a sturdy mesh backing. Geometric, artistic layouts; hexagonal, square, circular, rectangular, and combination layouts for artistic effect in residential and light commercial interior applications. 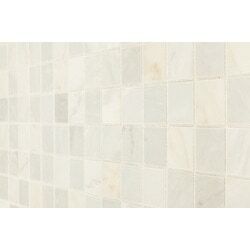 Marble Mosaic - Crema Marfil Marble Series - Crema Marfil Polished / 3"x6"
Marble Mosaic - Crema Marfil Marble Series - Crema Marfil Tumbled / 1"x1"